B-Level SE, Inc. is available for your residential and commercial concrete projects. 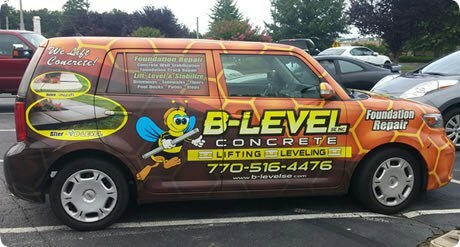 B-Level lifts and levels all concrete that may have settled, fills underground voids, fills block walls with grout for structural strength, waterproofs both solid concrete walls and block walls, repairs bowed basement walls, installs interior and exterior drain systems, and repairs pre-cast steps and porches. We train our concrete technicians thoroughly to provide you with the highest quality work and service at a reasonable price. We firmly stand behind our work by offering you a stabilization guarantee for the life of the structure!